As a coach, you may want to put your full attention on to the young players on your team. But your team will be most successful if you strive to involve families too. Sometimes relating to parents is easy–but not always. Knowing strategies for dealing with parents in youth sports can help make every season its best. Experienced coaches know it’s wise to engage families even before the season starts. That way, you can focus on building positive relationships instead of just dealing with problems that may arise. Following these five tips will help you gain support with parents and navigate difficult situations. Many leagues and coaches have a pre-season meeting for families. This is a great time to meet parents and set expectations for the season. At this meeting, you can cover important details like league rules and policies and playing time expectations. Also, be sure to highlight your league code of conduct for athletes and parents. Remind parents that they play a part in creating a beneficial experience for all young athletes. And let parents know that the league’s policy for expressing any complaints that they have. Often, this entails approaching a coach first before talking with league officials. During these parent meetings, try to spend time with each family if you can. Get to know facts about the player’s background in the sport and any personal goals. Does the player want to try out a particular position? Is the athlete aiming to improve in a specific area? This type of information helps you tailor your coaching approach and show you value each athlete. One great idea is handing out cards and asking families to write down goals for the season. Ask for one measurable goal, such as scoring more points or earning more playing time. But also ask for a non-tangible goal. That type of objective is something that can be achieved even if the athlete doesn’t meet his or her measurable goal. With this exercise, you can help athletes and parents gain perspective on the sporting experience. Instead of just focusing on scores and wins, they can remember that every season can be a good one with the right mindset. Setting expectations with parents at the beginning of the year will give you time to focus on coaching kids instead of dealing with parents. You may have top-notch coaching skills, but that is not always enough to manage a successful team. You also need to communicate openly with families. Parents need details like practice and game times but always appreciate more information. Praise after a win, encouragement after a loss, and insights on competitors are always welcome. Communicating often adds more responsibility to a busy coach, but can bring major benefits in family engagement. If coaches need help, consider delegating to an assistant or appointing a team parent to handle outreach. Remember that not all families are alike. Your young athletes may have divorced parents, stepparents, or other caretakers. Sometimes extended family members are involved in a child’s sporting activities. 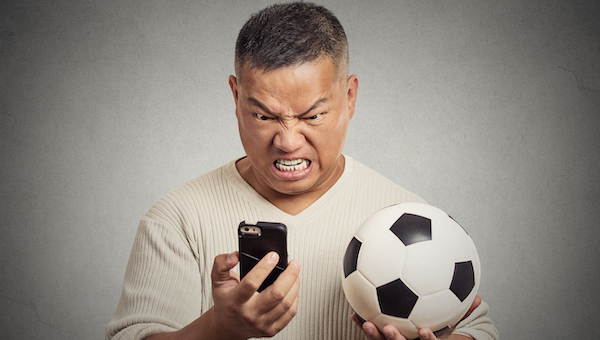 Whenever possible, seek contact information–including email and phone–for each athlete’s caregivers and supporters. And send out messages to everyone involved. This can avoid tensions and help families join forces behind their young athletes. 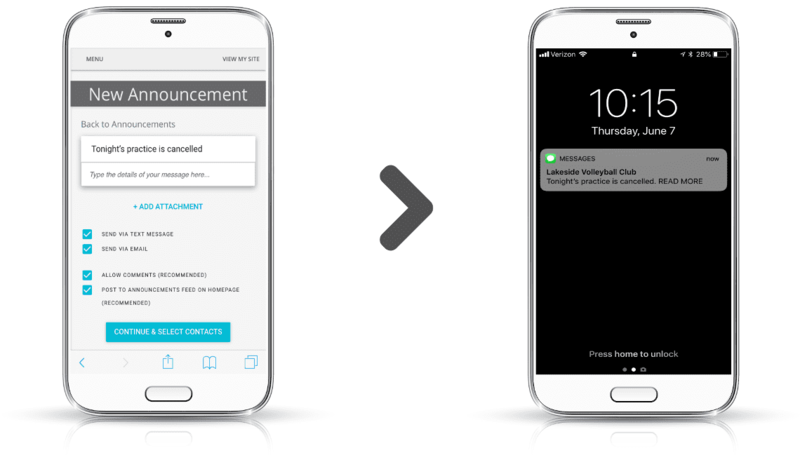 Keeping in touch with parents is a great way to prevent frustration about practice times, event updates, and payment due dates. 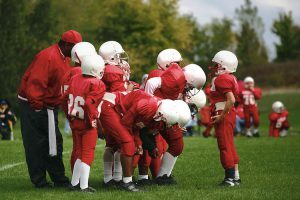 No doubt about it: Coaching youth sports can be a huge volunteer time commitment. As a coach, your primary focus should be on practices and games. But there is so much more caring adults can do for young athletes. Instead of shouldering all the responsibility yourself, brainstorm ways to involve parents. This can include coordinating a snack schedule, making signs, or working on fundraisers. Participating in the league–even in small ways–can make parents feel engaged and valued. Positive activities can help parents build rapport with others and focus on the good of the team. And that can foster positive feelings about the coaching staff and the league. Getting parents involved during the season can help them feel like they’re part of the team, and save you tons of time. It’s easy for a coach to feel defensive when parents complain. After all, coaches are usually volunteers sacrificing significant personal time for the team. And parents may lack insight on the nuances of the game tactic or rules of play. When parents complain, aim to listen attentively to their concerns. They may be misunderstanding key facts, but their feedback can also be enlightening. It’s true that the coach has the final say in playing time, positions, and line-ups. But sometimes an outside perspective can reveal blind spots in your strategy or ideas. Also, if you’ve asked parents and athletes to write down goals, you may want to refer to them. Maybe an athlete isn’t on track to meet a goal–and maybe you can make a shift to make a difference. Or maybe the measurable objective simply isn’t in reach, so parents need to remember the non-tangible goals they set. Chances are, managing parent complaints will be part of your coaching experience. Start with the presumption that parents truly want what is best for their children. Trust that they’ll be open to a constructive dialog. If this proves not to be true, remember that the league has a chain of command for a reason. Referring parents to league officials may be the best solution. Try to resolve what you can, but know when you need help dealing with difficult parents. At times, parents can involve themselves in children’s sporting experiences in non-constructive ways. They can set unachievable expectations for their players, foster dissension among spectators, or criticize coaches. It’s an unfortunate truth that incidents of parents bullying coaches and officials are on the rise. This can be especially true in competitive youth sports programs. At times, you can do all you can to create a positive environment, but still find parents acting badly. In those instances, you must aim to protect your young athletes from problem behaviors or confrontations. If you need to have a difficult conversation with a parent, talk in private. Offer to talk to parents away from practices and games or via phone. That way, you can keep any tense discussions with parents away from athletes. When you need support, lean on other coaches or league officials. Avoid the temptation to talk about difficult parents to other families. This can create harmful gossip and misunderstandings that can deepen any tensions. Unfortunately, gossip can spread to your young athletes and cause them to have bad feelings about being on the team. You don’t want to risk having an issue with one parent spoil the experience for everyone. Parents are important stakeholders in youth sports. How you engage with them can make or break a season. Your best approach is being proactive. Aim to involve parents from day one. Create clear expectations and ask parents and young athletes to set goals for the season. Make sure families and players consider non-tangible goals–like building confidence or emphasizing work ethic. Throughout the season, communicate often and with everyone involved. And suggest small ways that families can support the team. 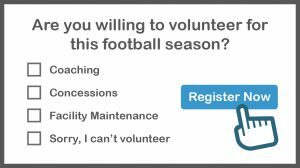 This can include small things like providing bottled water at halftime to big things like chairing a fundraiser. Show appreciation to parents and let them know every contribution counts. If parent complaints surface, approach them with an open mind–and an open ear. You’ll likely find that most parents are reasonable and just want to feel heard. But if issues escalate, don’t hesitate to seek assistance from your league. Remember that most parents of your young athletes want to enjoy the season and support the team. Don’t let a difficult interaction or even a hard season get you down. View them as opportunities to grow and always look for ways to learn through every experience. Interested in setting up a new website for your sports program or registering your players online? Send us a message at help@jerseywatch.com or try it out at www.jerseywatch.com.